Donnie "Ahas" Nietes successfully wins his flyweight debut Today September 25, 2016. 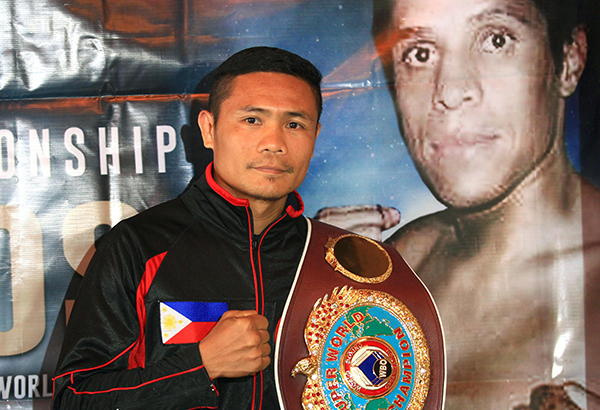 Donnie Nietes outclassed the former WBC world light flyweight champion Edgar Sosa of Mexico. Nietes hesitate to punch in the first 3 rounds but after that, he dominated all round thru the end of the fight. Nietes hurts Sosa many times, but the Mexican shows that he is strong and can take the punches of Nietes. Nietes wins via Unanimous Decision with the score of identically 120-108. The longest reigning Filipino world champion is now officially in the flyweight division and has the big chance to fight for a world title in his next fight. WBO no.1 flyweight contender Nietes could possibly fight the winner of the upcoming bout between Zou Shiming and Prasitsak Papoem on November 5, 2016. Meanwhile, on the undercard, Mark Magsayo wins via Unanimous decision against Raul Robles but he shows a lack of stamina in the fight. Magsayo becomes exhausted starting in round no. 7 but luckily wins the fight via UD. He dropped Robles in round no. 2 and round no. 7. Arthur Villanueva entertains the fans by beating the hard-hitting boxer from Mexico Juan Jimenez via 2nd round KO. Villanueva connects a right hook that puts down Jimenez and badly hurt. Villanueva finally puts a period on their controversial first fight. Pinoy Pride 38 can be watch on ABS-CBN channel 2 on September 25, 2016 at 3:30 PM and 7:30PM on SNA (ABS-CBN Sports and Action).